The index opened weak and saw huge profit booking from the onset to make a low of 8272, the buyers came back to move the index to the highs around 8340 but was sold again to at 8292.90, huge loss of 62.75 points. The broader market was also weak, with 493 advances to 1029 declines. 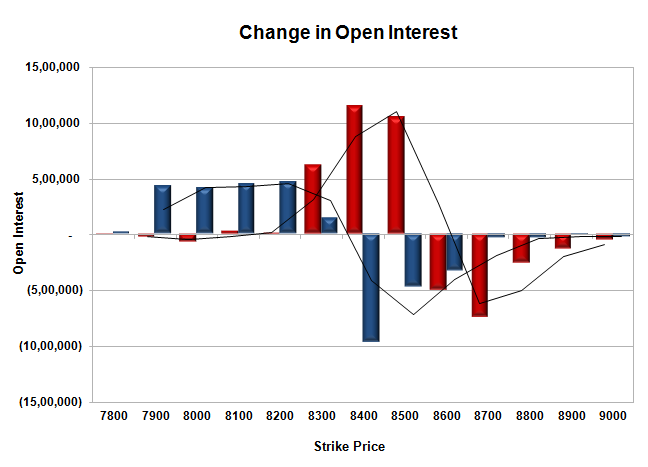 Range as per OI Table comes to 8200-8600. Call option 8300-8500 added huge 28.22 lacs OI with profit booking seen at 8600 and above strike prices. Put option 8300-7900 added huge 19.27 lacs OI with short covering seen at 8400 and above strike prices. 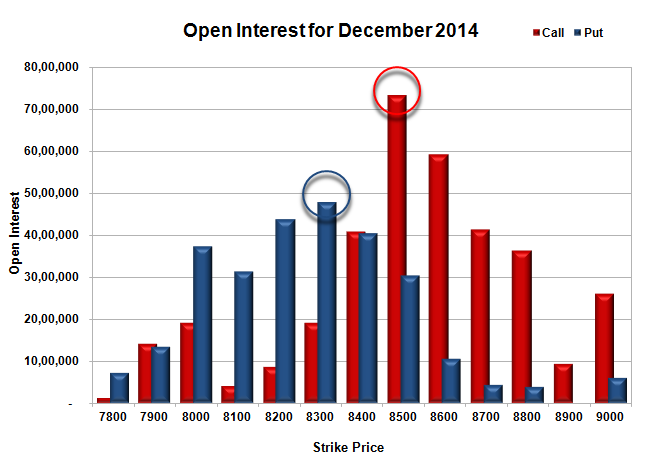 Nifty Open Interest is at 2,21,43,425 up by 1,61,750, with decrease in price, probably short build-up. Bank Nifty Open Interest is at 17,87,200 down by 63,350, with decrease in price, probably long liquidation. FII’s sold huge 8.23 lacs Futures, which includes 4544 contracts long liquidation and 28380 contracts short build-up, with increase in net OI by 28380 contracts (includes 42141 longs to 75065 shorts for the day) and the Average Price comes to 8527.80. FII’s Index future open contract as on date is 635365 Longs to 138607 Shorts, net long 496758 down by huge 32924 contracts. Initial and best support still at 8300, with huge OI of 47.80 lacs and below that at 8200 with OI of 43.82 lacs. Initial resistance at 8400, with huge OI of 40.78 lacs and above that at 8500 with highest OI of 73.38 lacs. 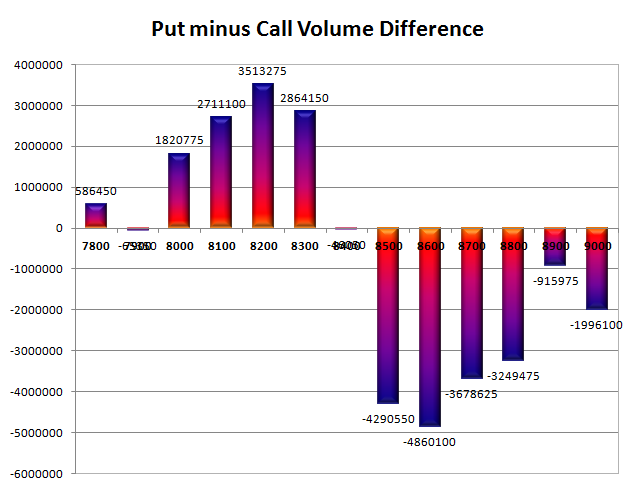 Day Range as per Option Table is 8244 - 8361 and as per VIX is 8237 - 8348 with 8305 as the Pivot.